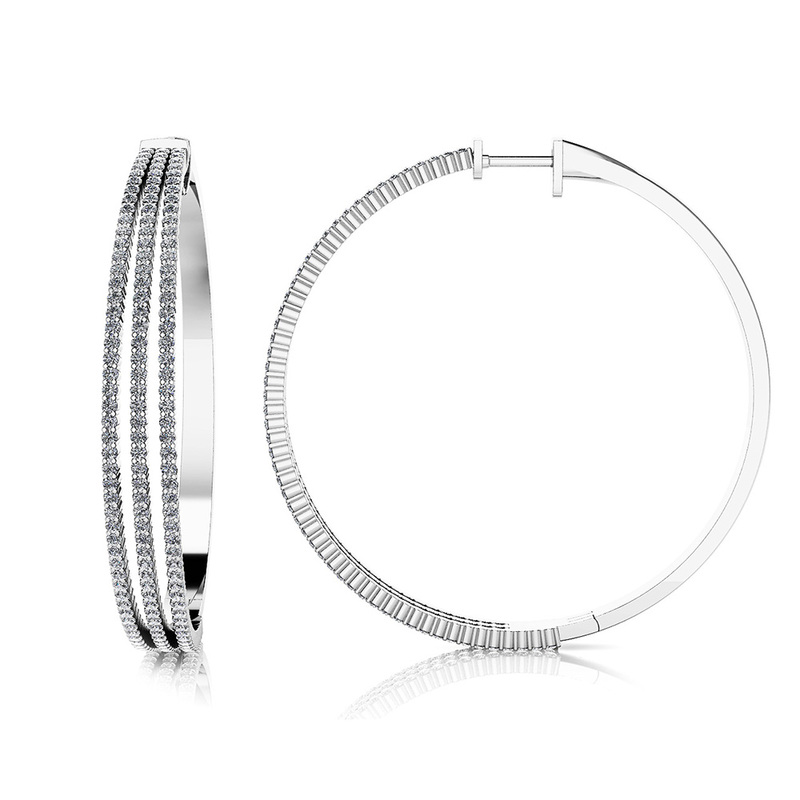 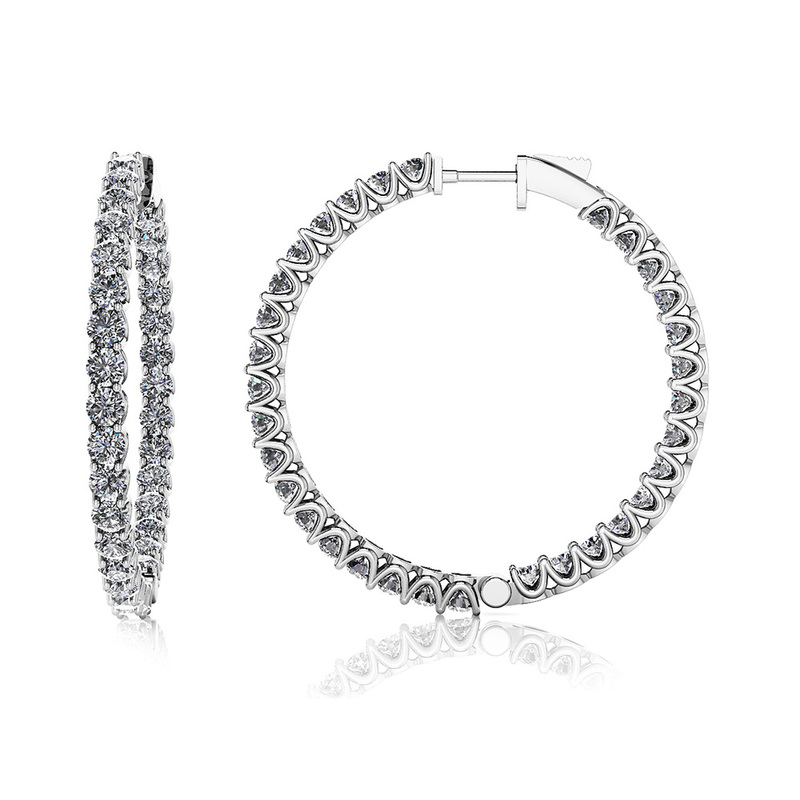 "Sparkling round diamonds form an alluring 3 row pattern in each of these beautiful hoop earrings. 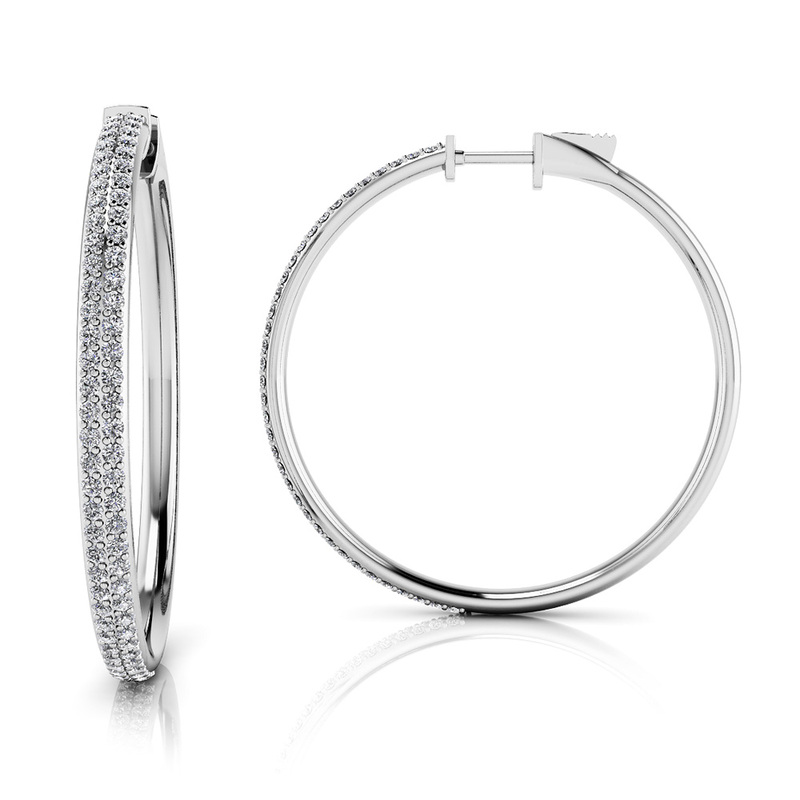 Create yours in 14K or 18 k gold or platinum, these earrings have a total diamond weight of 2.21 carats and secure with easy to use push button backs. 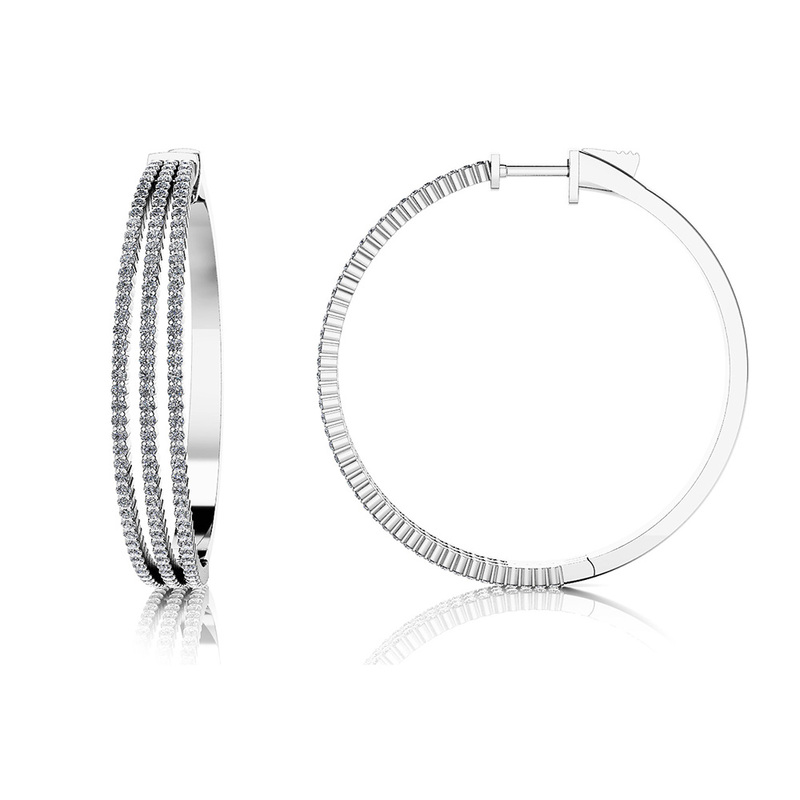 Measuring at 1.5” in height."